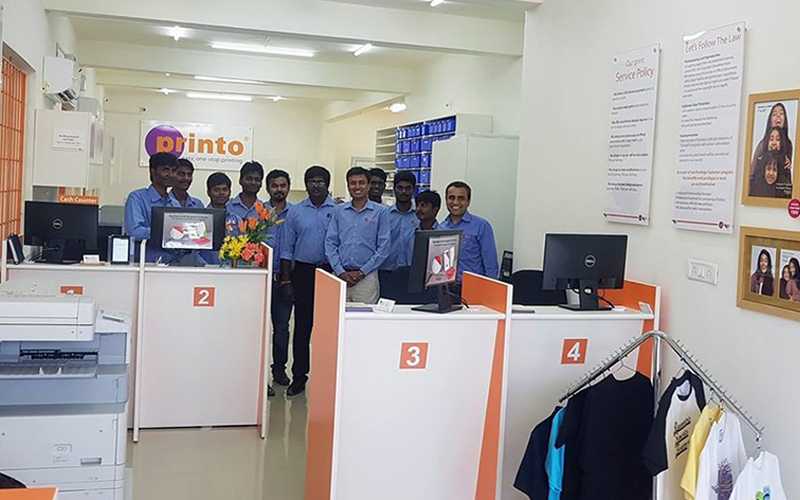 Printing retail chain Printo has acquired Delhi-based printing solutions company The Print Bazaar in an all-stock deal, it said in a statement on Monday. Following the acquisition, Printo will invest up to Rs 10 crore in the new entity to grow its footprint in the National Capital Region, Manish Sharma, co-founder and chairman of Printo, said. "This is a consumption-led industry and, with increasing consumerism, quick service print is booming. We believe big growth lies in creating a platform that combines retail instant gratification with omni-channel access for customers," he added. Citing unnamed persons, a report in The Economic Times said Print Bazaar's valuation for the transaction was Rs 8-10 crore ($1.25-1.56 million). Besides, The Print Bazaar brand will be discontinued after the transaction. This is Printo’s second acquisition. In 2011, it had bought Lifeblob, a social photo-sharing startup backed by early-stage venture capital fund SeedFund. Founded in 2005, Bangalore-based Printo Document Services Pvt. Ltd provides products such as business cards, marketing collateral, reports, calendars, diaries, greetings, invitation cards and branding signages. Printo was previously backed by Sequoia Capital, which had led a $4.46-million round in the company along with SeedFund in 2007, according to VCCEdge, the data research arm of VCCircle. However, co-founder Sharma bought out Sequoia's stake in 2012. Early-stage investor Blume Ventures is currently an investor in Printo. Alia Group, a diversified business entity whose interests span from water purifiers to engineering services, is the parent entity of The Print Bazaar. This is the firm's fourth divestment, the previous ones being the sale of its design arm DMA to Future Group in 2007 and its pre-media packaging unit to French graphic design services and pre-media agency Diadeis in 2014. Printo competes with online photo-printing and merchandise startups such as Canvera, Zoomin, iTasveer, Printland and Shutterfly Inc.
Info Edge (India) Ltd, which runs a slew of consumer internet properties such as Naukri, 99acres, Jeevansathi and Shiksha, had recently increased its stake in Bangalore-based Canvera by investing Rs 8.6 crore ($1.35 million). According to VCCircle estimates, the round valued the startup around Rs 60-64 crore ($10 million). Mumbai-based Zoomin, a provider of digital photo prints and merchandise, had acquired San Francisco-based Photojojo Inc in 2014. Zoomin is backed by VC investors such as Sherpalo Ventures (portfolio now managed by Lightbox), First Round Capital and SVB India Finance. Online printing solutions startup Printland.in had raised an undisclosed amount in funding from SIDBI Venture Capital Ltd, a wholly-owned subsidiary of Small Industries Development Bank of India (SIDBI), in 2015.